Forming and extrusion machinery for various masses has been used in the confectionery and bakery sectors for several decades now, when manufacturers recognised its potential for higher capacities. It is a process by which liquid or soft mass is formed by being pushed through the opening of a die designed specifically to the food item, which is then cut into a specified size. Extrusion is one of the most basic and useful processes in the bakery and confectionery industries and over the years it has been developed and improved to accomplish a variety of extruding tasks. While the process itself might seem basic, with additional features and co-extrusion and forming equipment, food manufacturers are able to create very unique products to cater to customer demands. A significant business sector for extrusion is the health trend. Even with more indulgent food items such as confectionery, chocolate and sweet baked goods, consumers are demanding less sugar and healthy sweetener alternatives, less fat and more natural ingredients. “Now companies both large and small are focused on this market and focused on products that eliminate GMOs, certain fats and oils and other similar ingredients. We see substitutes for glucose such as brown rice syrup, sugar substitutes like stevia and the introduction of nuts and fruit for flavour, texture, fibre and protein,” says Jim Greenberg, co-president at Union Confectionery Machinery. Extrusion fits nicely into this market trend by offering high quality and flexible technology that is able to handle different shapes, recipes and inclusions. “All in all, the health trend is driving extrusion which is a highly flexible operation that can produce a wide range of products across multiple platforms. The art and science behind this method of bar forming and similar items has grown in response to today’s consumer demands,” adds Greenberg. 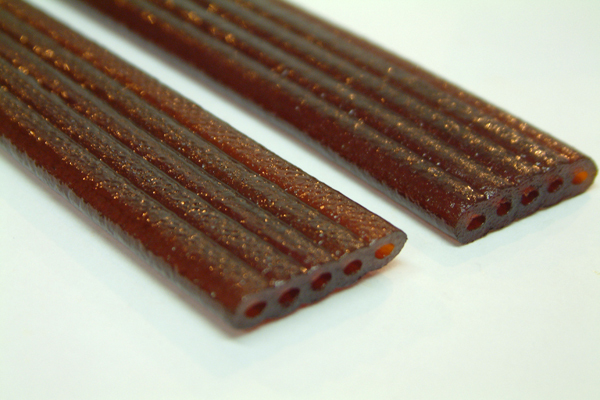 One company that offers extrusion solutions to the health conscious confectionery industry is BCH. For example, its 100 per cent fruit cooking system, which is a combination of its MaxiVap Evaporator and liquorice extrusion technology, has enabled the company to achieve evaporation on high moisture fruit mixes to typically 85 per cent solids, at which point they have a consistency of a soft dough that can be extruded using BCH’s technology. This then enables the production of a healthy snack bar using 100 per cent organic fruit ingredients, which can be co-extruded in a variety of colours, shapes and flavours. With an increasingly health conscious consumer, product innovation is now more important than ever. Yet at the same time, manufacturers need to keep costs to a minimum. Emerging markets and an increase in product variety means that the bakery and confectionery industries are becoming more dynamic and sophisticated. Manufacturers are looking for extrusion technology to be flexible, which enables them to use a range of materials and recipes on just one system. A company that caters to these requirements is Haas-Meincke, which produces the V60 system for biscuits, designed for single, twin or triple depositing, wire cutting and extruding at an unequalled precision level and always with a gentle dough handling. Amaury de Ricqlès, product manager at Haas-Meincke, says, “We are continuously improving our range of accessories for this V60 system and have presented our new BackPack Wire Cutter and our new Cigar Cutter at the latest Interpack. Both are easy to clean with an open design and less parts. The BPWC-v2 is faster than the previous model and the new Cigar Cutter achieves a better deposit and thinner products as it can cut closer to the band. “We have consequences of the century megatrends, for example, the increase of heterogeneous consumption patterns across the globe. Regarding our family of extruders that means equipment needs to be agile and modular. Some of our customers are commissioning up to 21 different products on one V60 system. Some want to make new products by upgrading their existing system. Solutions such as this allow confectionery manufacturers to create a more varied portfolio on just one system. Another key driver in the confectionery and bakery market is with regards to allergens. “No/low/reduced allergen is a more significant claim and it is among the fastest growing, up to 16 per cent globally between 2014-2016,” says Marcia Mogelonsky, director of insight at Mintel Food and Drink. Therefore, hygienic design is now more important than ever. This ongoing trend is increasing, with experts claiming it will be comparable to the situation in the dairy industry in the upcoming years. If a machine is easy and simple to clean, it also reduces costs and down time, while making it easier for the user to switch from one product to another. Haas-Meincke continues to create solutions covering both approaches with its extruders and through its entire machinery portfolio. Out of its V60 system, its new accessories including the BackPack Wire Cutter and the new Cigar Cutter have an open design and fewer parts, making them easier to clean. “On the one hand, the new V60 accessories, including the BackPack Wire Cutter and the Cigar Cutter, have an open design and fewer parts, making them easier to clean in place,” adds Ricqlès. “On the other hand, the Roll-off Roll-on (RoRo) feature on the 6110-RoRo Wire Cutter presented at Interpack enables a quick changeover time and ensures an unprecedented level of hygiene. No matter what the size or type of production a manufacturer has, it is a strategic advantage to offer flawlessly clean and efficient manufacturing solutions like those mentioned, as this will continue to be a focus of public demand. 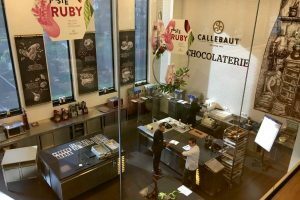 While the confectionery and sweet bakery markets continue to shift towards a healthier consumer, there is still a huge gap in the market for product innovation. According to Mogelonsky, one growth area that could be focused on is ‘all natural’ claims. “In the US, for example, 32 per cent of consumers agree that foods with a ‘natural’ claim are good for their health, while in China, 48 per cent of candy eaters would pay a premium price for sweets made with natural ingredients,” she explains. 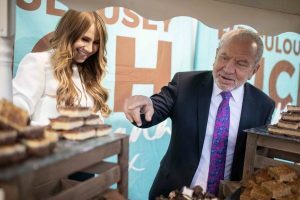 However, since 2014 the percentage of sugar confectionery launches with all natural ingredients has remained unchanged, with only one per cent of new product launches coming under this description. 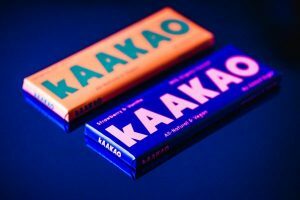 This is just one example of what extruded confectionery and bakery manufacturers could concentrate on in order to cater to this consumer demand. Staying up to date with technology and finding extrusion machinery with a flexible and modular design, different product and ingredient possibilities and easy cleanability will ensure a position in increasingly profitable market growth areas.